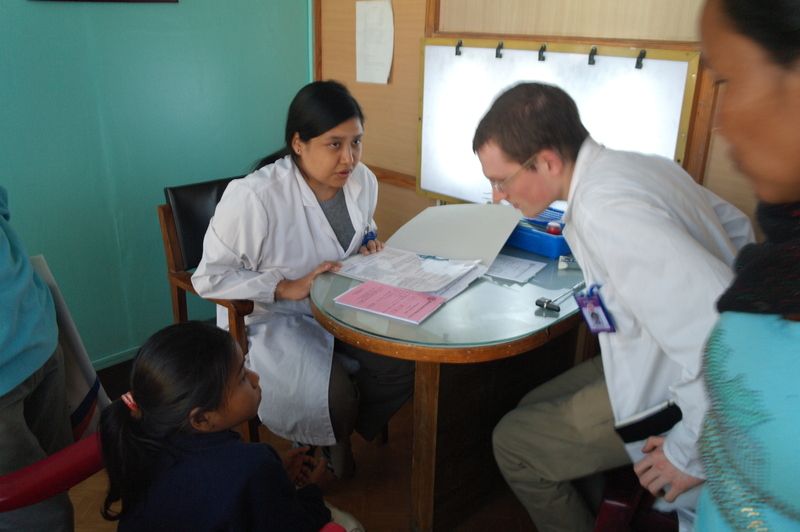 Following the election we made arrangements for Sushmita’s check up visit. Many of you will be familiar with Sushmita’s story. A child brought to us in 2009 needing medical help. She was taken for an MRI scan we were told of the danger of an operation on her spine. Her mother decided against it. During my visit earlier in 2013 her mother approached us again. She successfully had her operation later in 2013. Please see previous blogs for further details. I am so happy about this child, it is a real miracle for us and her mother. When visiting the hospital I was told that in 3 years time there would have been no hope for this child. I spent days and nights worrying about the decision to have the operation. Of course we are not responsible for the ultimate decision her parents are. Sushmita’s parents are very poor her mother works as a stone breaker, her father is in Saudi sending money home, he has been there for 4 years. All over Nepal men and women leave the country to work and send money home there is no other way to survive. 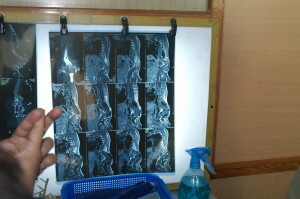 The hospital visit was amazing I saw the X-rays previous to the operation and after. 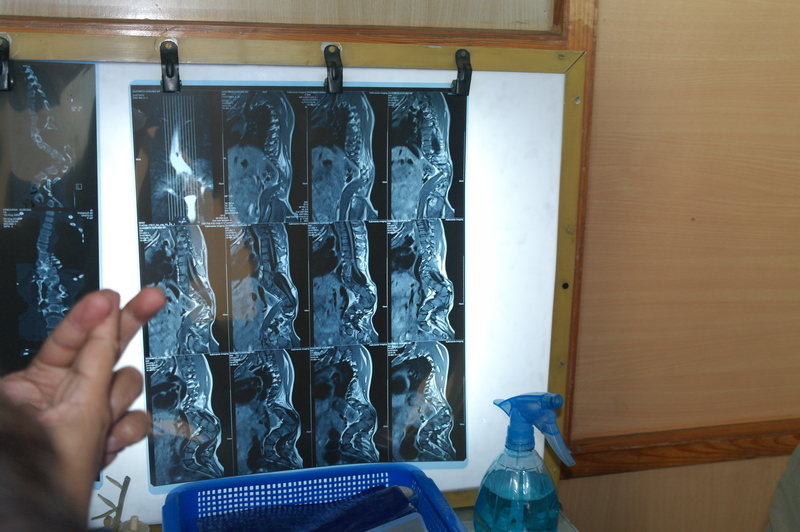 We were told that she had two spines growing together, it was the first operation of it’s kind at this hospital. There were 9 surgeons attending the operation on the day which took 9 hours. Of course it was not free and cost Hi-Cap lots of money, much thanks to Brett Adams in 2013 who made it possible. This little girl is just amazing, I was told during her stay at the hospital how she laughed and joked with the doctors. She was just so happy during her return visit, all the doctors and nurses knew her when we visited the hospital, the experience for me was just so amazing, tears of joy ran down my cheeks, just amazing stuff. I am so honoured to have such a wonderful experience. During the visit there were two Western Doctors from the UK, they were so happy for this little girl to be part of there experience the day of our visit. The young Scot below fascinated by the details. Below see the Doctor in charge of Sushmita’s operation, and us leaving the hospital that day, this child is now famous, everyone commented on her remarkable courage and happiness. What a wonderful result for this child. Hi-Cap UK are so proud. 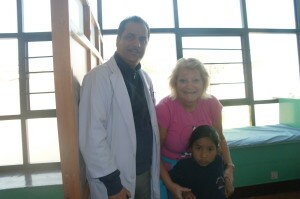 Sushmita is now back at school and doing so well. She is a very bright child and realises that her future is now positive thanks to all those that have supported this project.